Almost all wish to have a garden filled with trees, plants and beautiful flowers, which bring joy and establish a beautiful atmosphere in your house. However, the first problem you face is how to plant and care of trees and flowers; so I thought to bring you this blog-post a bunch of applications to have a wonderful garden. The My Lawn app from Scotts simplifies lawn care by creating an easy-to-follow lawn maintenance plan so you know the right products to use at the right time. Simply tell the app a little about your lawn and it will help you know what to do to get you get your lawn the way you want. You have the ability to modify those recommendations and add your own, so you have a complete plan customized for you. If you’re DIY’ing it, iScape makes it easy to plan out what to buy and how to put it all together. 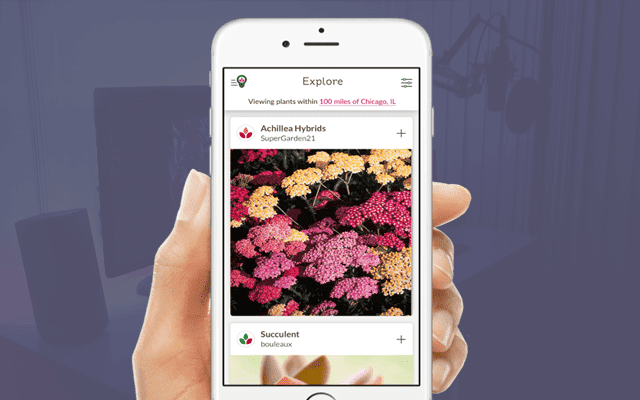 If you’re hiring a landscaper, the app can help you explore ideas and share your vision. It is user friendly and has features that include a virtual pen, the ability to insert objects and more. This is considered one of the best landscape design apps.